Dental implants are artificial roots and teeth made of titanium or zirconia (a strong metal-free ceramic). Dental implants are surgically placed into the upper or lower jaw bone under local anesthesia or conscious sedation. The teeth attached to implants are very natural-looking and enhance or restore a patient’s smile! They are a growing phenomenon in replacing missing teeth, and may even be used to replace multiple missing teeth as an alternative to dentures. Dentures don't have to look artificial, nor should you need to use adhesive to keep a denture in your mouth. The fabrication of a natural-looking , comfortable and beautiful denture is an art form in and of itself. By taking into account age, hair color, skin tone, eye color, lip support and personality, the Core Smiles team can fabricate a denture for you that fits impeccably well and that looks incredibly natural. We use GLO and KöR systems. These are effective and powerful ways to professionally whiten your teeth right here in our office. Veneering a tooth means to cover its surface. They are used to enhance the shape as well as the color of a set of teeth. A veneer also closes spaces between teeth. As we get older, we wear down our teeth. 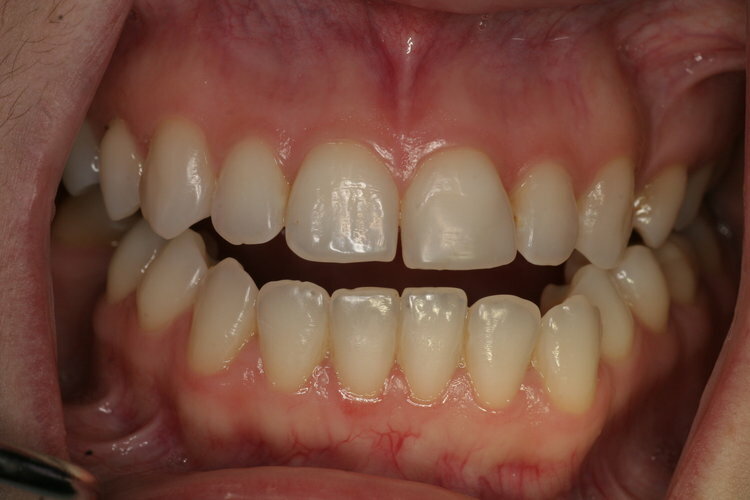 Erosion on the front teeth may affect the aesthetics of a smile. Porcelain veneers can completely change the smile of an individual.